Arthur will always have special place in my heart. His sunny nature and love of life just makes you want to smile. 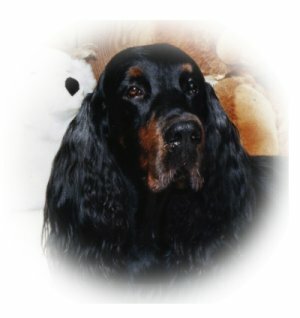 Arthur has always been willing to try new things at any point in his life, gaining his CGC at 11. 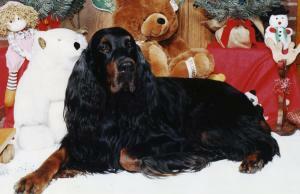 In the show ring, Arthur finished his Canadian title with group placements, his US title in three trips over the border. Although not his favorite discipline his CD was earned in three consecutive trials. Arthur’s Junior Hunter title was earned at nine years of age. This great dog is just fun to have around. Arthur's get have conformation titles in both US and Canada. In July 2002, Arthur took in the Canadian National, showing at 12 - he can still strut his stuff around the ring. In December, we celebrated his 13th birthday with a winter coat and stuffed toys as Arthur is still the eternal puppy.